This product is ideal for affordable housing & small residential buildings such as a triplex. Model C is a variation on model A. 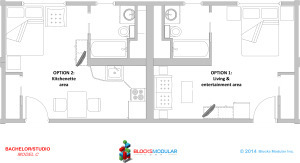 Use the design in a hotel/motel floor plan, on a affordable housing project. 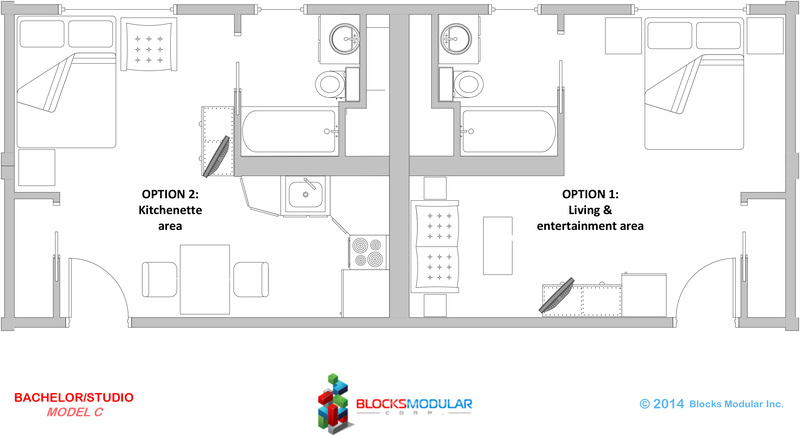 The options available for this module are not limited to residential applications.